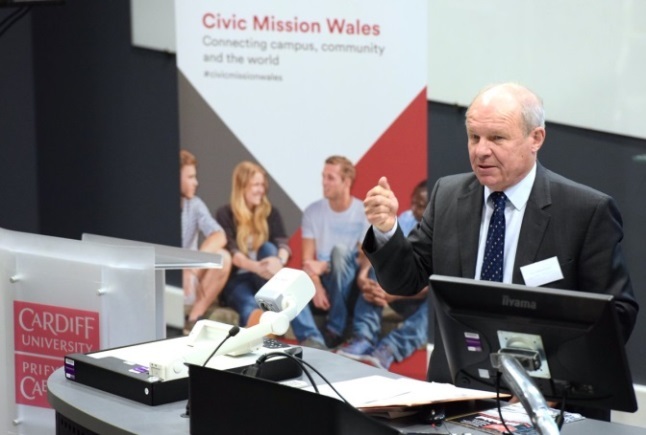 Philip Dearden, Head of CIDT, presented a session entitled ‘Thinking Globally – Acting Locally – How the International Sustainable Development Goal can help frame our Civil Mission in Action’ at a Civic Mission Summit in Cardiff, Wales. 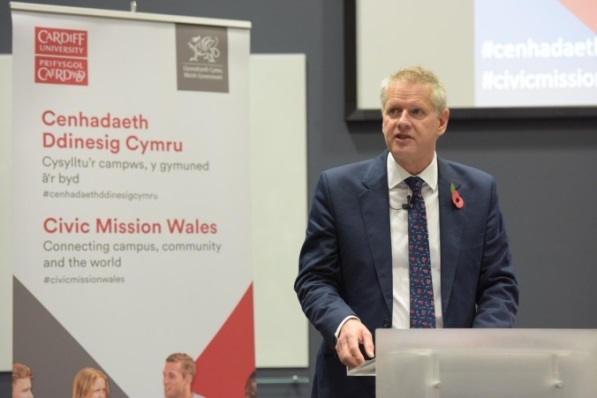 Philip joined a range of speakers from across the country at the Civil Mission Wales: Connecting Campus, Community and the World. 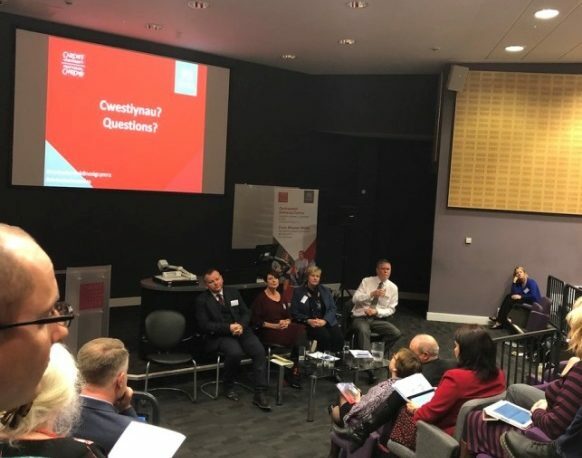 Organised by the Welsh Government in association with Cardiff University the summit covered the latest developments in the civic mission of higher education. 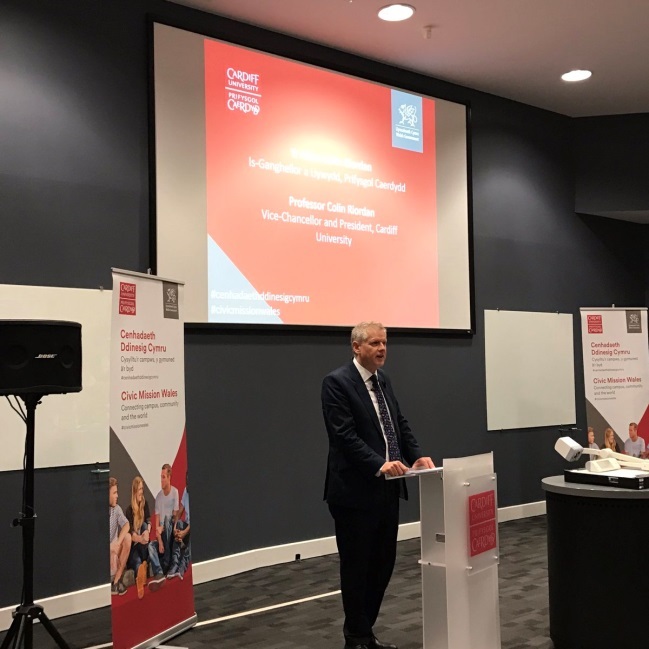 Key speakers included Professor Ellen Hazelkorn and Professor John Goddard alongside the Cabinet Secretary for Education, Kirsty Williams AC/AM. ASPIRE to Higher Education. This focused programme is aimed at encouraging the raising of aspirations of youngsters in the most deprived areas and sparking their interest in Higher Education and hence access to better life opportunities. A new Institute for Community Research and Development(ICRD). The new institute will provide a focus for local and regional research and development activities. A UNESCO Learning City/Region. 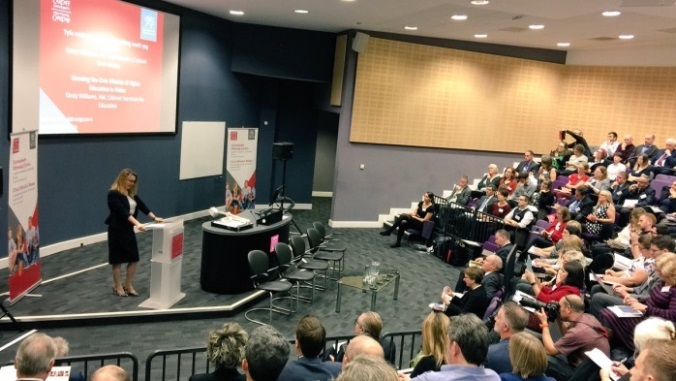 The university has the strategic endorsement of the local authority to progress this overarching collaborative proposal of building a ‘Learning City’ by engaging with developing sectors, small business community and the voluntary sector; and through partnerships ensure that the university acts as a window on a wider richly diverse world. 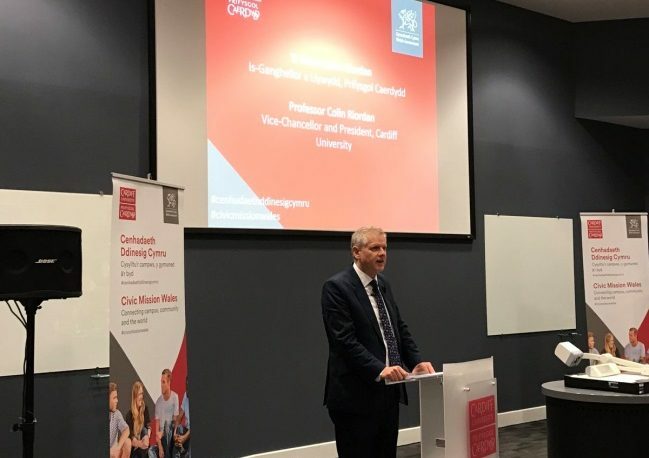 In conclusion Phil noted the growing importance of the SDGs in the UK and then examined the current challenges of moving the SDGs from Global to Local making them ‘Glocal’. 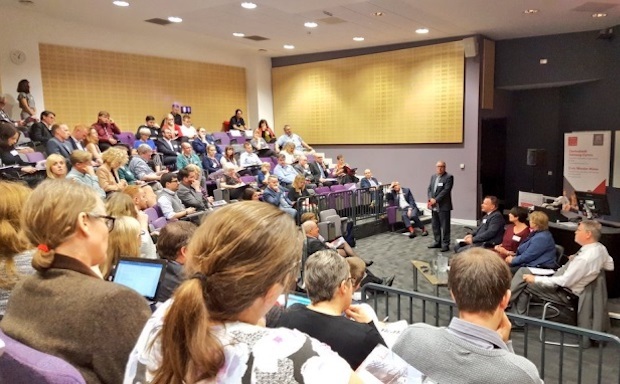 He stressed the importance of taking these ‘Glocal’ ideas and sharing them with each other at conferences such as this one. He also stressed the need for both SDG accountability and reporting in the UK and the use of open data to allow citizens to participate. 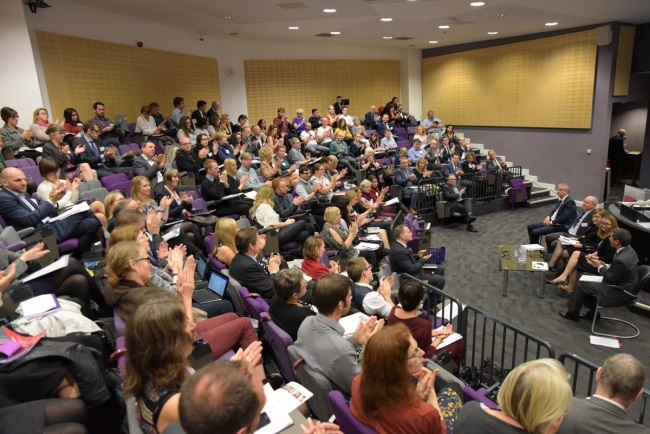 The Summit featured panel discussions on the civic mission of higher education and provided a unique opportunity to share experiences with other institutions. Photographs from the Civil University Summit. 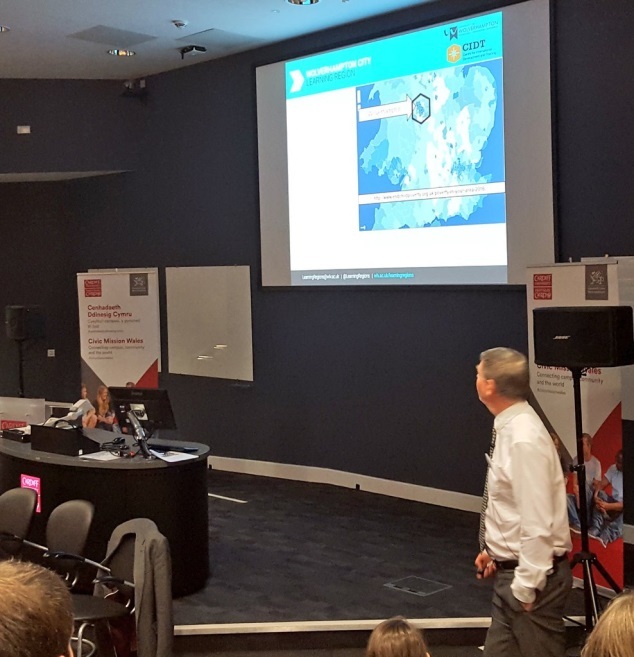 Below: Professor Philip Dearden presenting his session ‘Thinking Globally Acting Locally’ How the international Sustainable Development Goals can help frame our Civic University in Action. 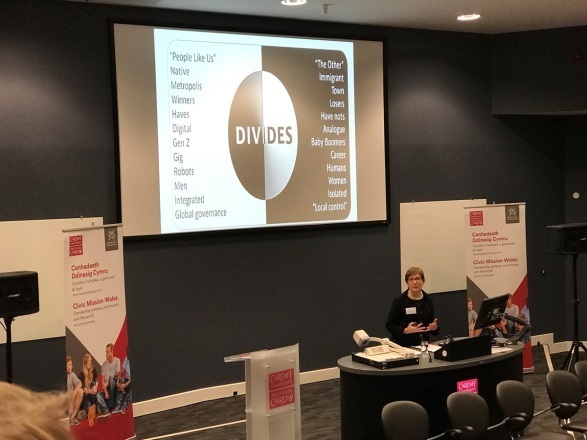 Below: Kirsty Williams AM, Cabinet Secretary for Education, Welsh Governement, presenting her keynote: Growing the Civil Mission in Wales. 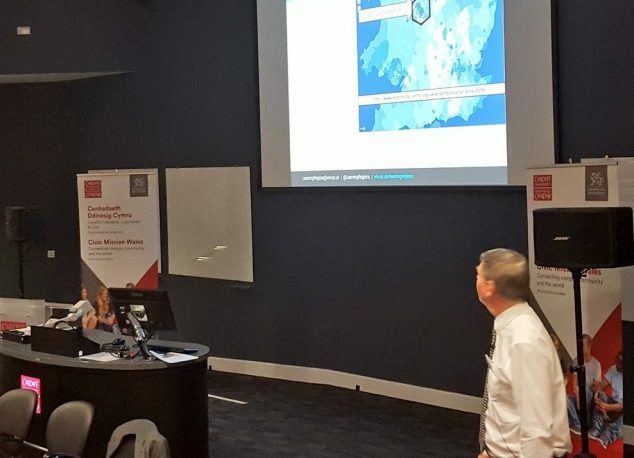 Below: Professor John Goddard, OBE AcSS Emiertus Professor and Special Advisor to the Vice Chanlelor and President, Centre for Urban and RegionalDevelopment Studies (CURDS), Newcastle University presenting his keynote: Cicvil Engagment, Civic Universities and Place. 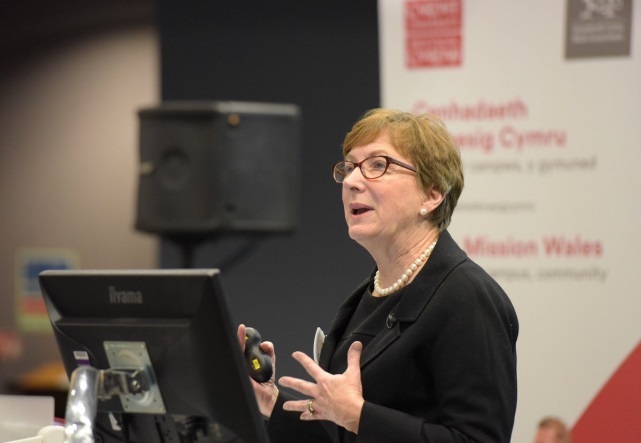 Below: Professor Ellen Hazelkorn, Professor Emeritus and Director Higher Education policy Research Unit Dublin Institute of Technology, giving key keynote Civil Engagement and Higher Education : The Evolving Agenda. 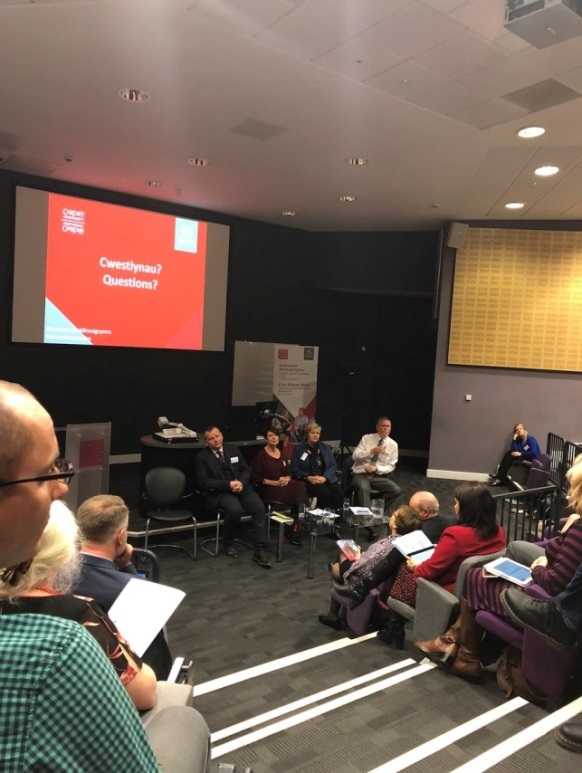 Below: A lively panel discussion underway.